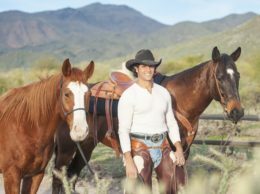 Before moving west to seek higher education and getting politically involved in Arizona, Adam Trenk, partner at Rose Law Group, grew up riding horses in New Jersey. But from a young age, he was also fully immersed in the urban aviation landscape in and around New York City. 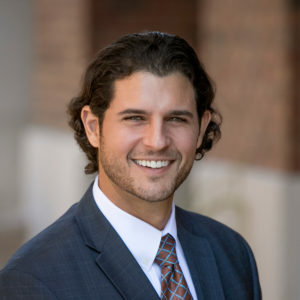 Adam then cut his teeth as a strategist early in his career, having done battle in local political arenas and working statewide on lobbying efforts for the firm’s clients. In 2014, when Bill de Blasio took office as mayor of New York City and began to make bold statements about shuttering New York City’s helicopter tourism industry, Adam reached out to his friends in the industry to see if he could help. By the second half of 2014, it became clear New York City’s leadership was intent on regulating helicopter tours out of business. The Mayor and members of the New York City Council, however, failed to appreciate the symbiotic relationship between air tourism and air transportation in and around the New York Metro area. Without tourism revenues, the then-predominant business model that made helicopters available for charter in New York would collapse. Recognizing a void in advocacy for the industry, Adam worked to rally industry participants and formed what would become the Helicopters Tourism & Jobs Council (HTJC), Inc (see www.helicoptertourism.com), a non-profit corporation born out of necessity to advocate on behalf of New York City’s air tour operators. The organization would go on to raise money to fund a robust public relations campaign orchestrated by Adam Trenk. Despite the emergence of the HTJC, misguided elected officials initially ramped up their calls to shutter the industry and introduced legislation in 2015 that would ban helicopter tours around Manhattan, based on the false-pretense that helicopter noise and exhaust emissions were a significant detriment to city residents. The HTJC reacted by funding a survey of New York City residents, which disproved the council’s theory and took the dialogue to the press. The HTJC successfully ran editorials in Daily News and New York Post to set the record straight with the members of the city council who felt helicopters were not an important part of New York’s economy. In the fall of 2015, the HTJC organized a press conference on the steps of New York City Hall that involved more than one hundred industry employees, resulting in a Daily News headline supporting the industry. In early 2016, Mayor de Blasio’s office began to realize a bill eliminating the air tour industry and putting hundreds of New Yorkers out of work would be political suicide but still wanted to try to limit noise and emissions in a meaningful way. Helicopter operators had been flying tours under a permit that would expire in 2018. The Mayor was willing to negotiate a short-term reduction in volume in exchange for longer-term security. Ultimately, after nearly eight weeks of negotiations directly with the Economic Development Commission of New York City, a deal was reached, phasing in caps on air tour volumes, extending the operating permit by three years, and providing for two additional one-year extensions, which gave the industry up to five more years staying power. This compromise was later ratified by New York City’s Franchise Concession and Review Committee. The Helicopter Tourism & Jobs Council continues to operate to this day, as a medium between New York City government, two of the three New York Heliport operators, and all four major helicopter tour and charter companies that fly out of New York City’s downtown Manhattan heliport.